Thank you for visiting my website. 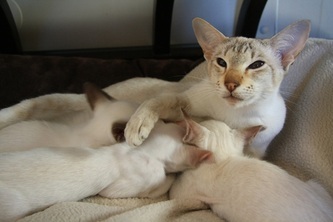 I have been breeding Siamese since 2004 after growing up and showing Siamese since the late 80’s. I am an active exhibitor and breeder of Siamese & Oriental and a qualified Persian/Exotic/Chinchilla Longhair i.e. Longhair judge and qualified to judge Abyssinian, Somali, Burmese, Tonkinese, Sphynx, Cornish Rex, Devon Rex, Russian and Singapura and a trainee judge on the rest of the Foreign Group. 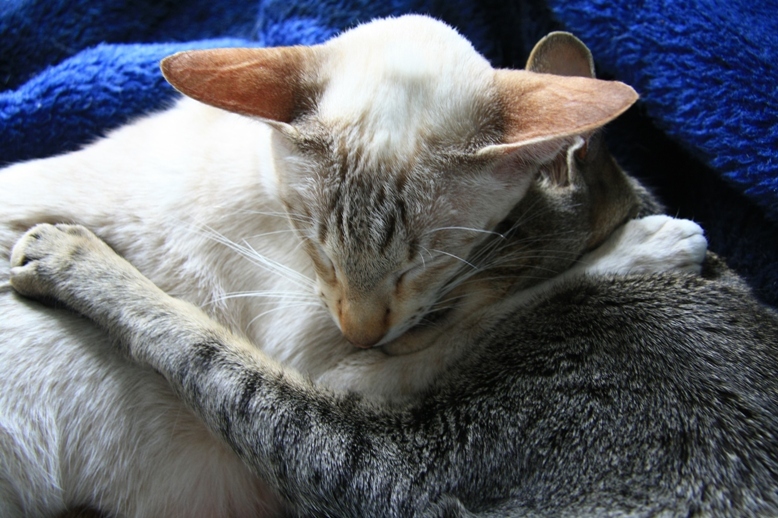 I have also passed my written Siamese, Oriental Shorthair, Balinese and Oriental Mediumhair exam. I am Chairman of the Siamese Breeders’ Group of South Africa, Secretary of Western Province Cat Club and Secretary of the Cape Panel of Cat Judges. I am currently studying to become an all breeds cat judge after actively stewarding & exhibiting for a number of years. My kittens are bred in my home underfoot (literally) and grow up into well socialised kittens with good temperaments. All kittens are pedigreed, fully vaccinated, dewormed, microchipped, spayed/neutered (unless sold for breeding) and all are registered with the South African Cat Register (www.tsacc.org.za) and are sold with a strict Kitten Contract. I do not sell kittens for breeding purposes to breeders I do not know or to novice breeders. I only sell breeding stock to breeders I work with. I run a small cattery and currently only have 1 Siamese & 1 Oriental queens , 2 young Oriental queens, 1 Siamese stud, 1 Siamese Neuter & 1 Oriental stud. My cattery is situated in the Northern Suburbs of Cape Town in Parklands, Table View. 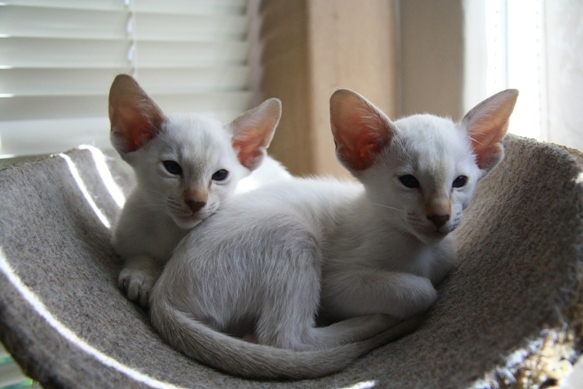 If you are interested in a Siamese or Oriental kitten for a show or pet home or would like more information on these breeds please contact me.